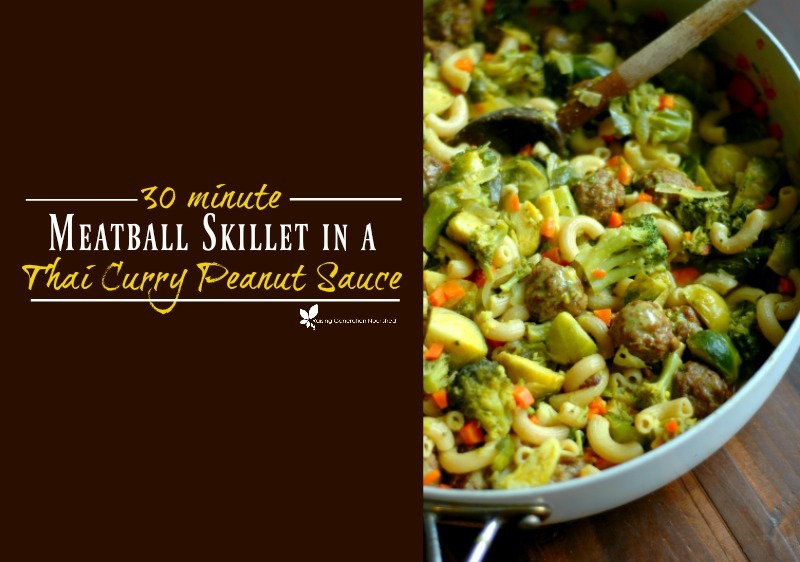 Change up your meal plan with this quick, weeknight gluten free curry meatball skillet the whole family will love! 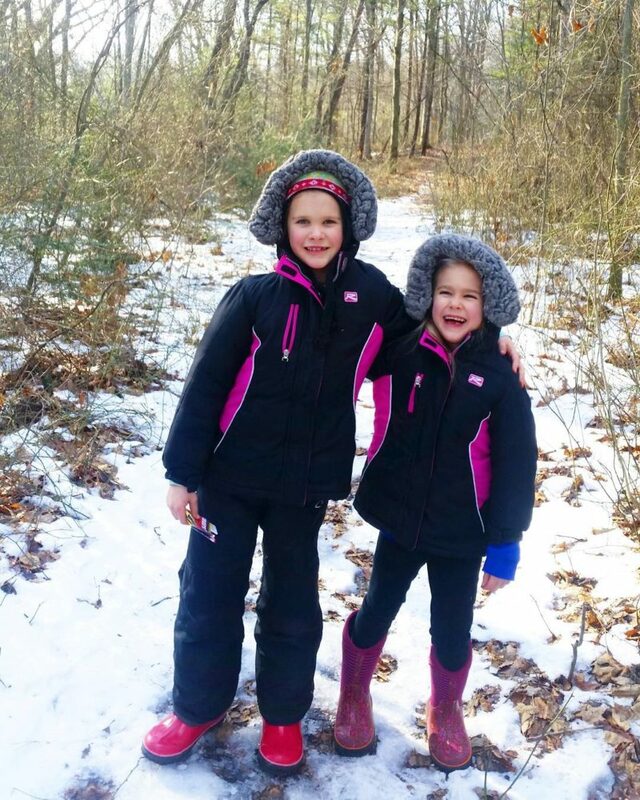 …but I wanted to break up your winter reading with these cutie smiles and the scarce snow we are experiencing this winter! What a mild one for us so far! 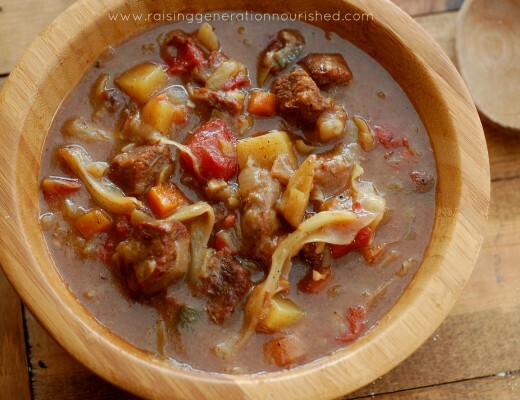 It is so easy to get stuck in a meal rotation rut, isn’t it!? If you haven’t noticed by following my Instagram meal posts, soups tend to be what I fall back on a lot when we have had a busy day and I don’t want to think. I’m not a great meal planner, despite what some may think, and most weeks I’m flying by the seat of my pants (and what’s on sale at the market!) for my dinner menu. I can tell when I’ve been serving soups too often when my soup loving, any food loving oldest starts giving me that face like “umm soup again? 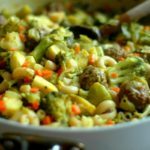 !” Skillet dinners are just as fast, and a couple weeks ago I perfected a curry skillet that we have grown to really love. The meatballs bake while you make the skillet and just get added it at the end – I timed myself quite a few times and it really does just take 30 minutes for everything. It’s one of my favorite flavors, and you know what? I didn’t grow up eating it! So there is hope for those older kids! Curry is a season blend originating from south Asia/India, primarily composed of turmeric combined with other warming Indian spices. You can find curry blends just about anywhere in the spice section of your grocer these days. Our local grocer even carries their own label of an organic curry blend. (If you are Midwest local, I’m talking about the Meijer Organics curry blend – it is so good! ), but this brand of curry should be available just about everywhere. 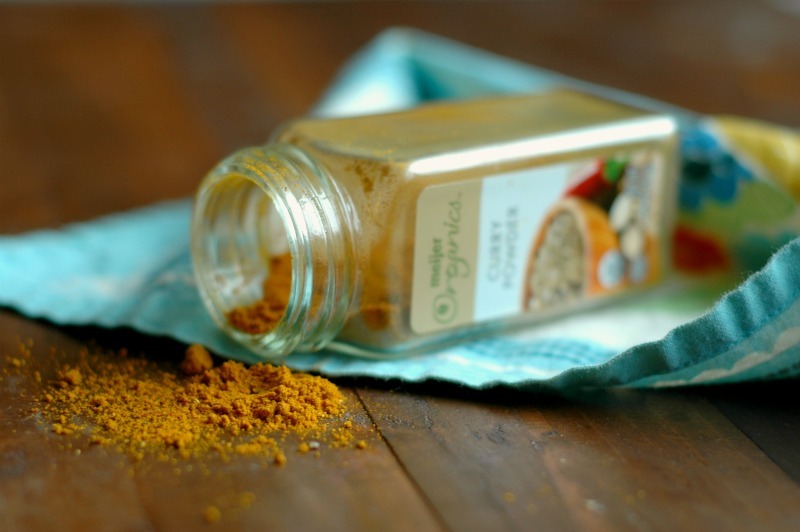 The benefits of turmeric are all over the blogosphere these days. There is no denying the powerful anti-inflammatory properties of this root, and I can’t think of a tastier way to get this healing root into your diet than a skillet filled with mineral rich veggies and kid friendly, fun meatballs! My kids….LOVE curry. I have one in particular that seriously wants curry seasoning everything she eats! I don’t even serve curry on a regular basis and my kids have developed a palate for it. It can have a bit of heat to it, so my recommendation is to season your curry meal lightly to start, and you can always add more to your dish if you want it stronger. As this recipe stands, this is a pretty typically seasoned curry, so I would back it off if your kids are not used to curry. 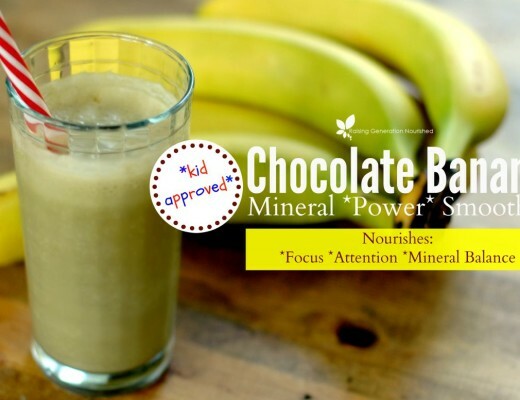 My kids gobble this up – even the toddler. If you have the little guys under 2 years old, serve it right off your plate as is on the amount of curry season (sans the noodles for babies under 1 to avoid the grain). You might be surprised at how they take to the delicious flavor! Turmeric is fantastic for kids! We love using rice noodles for this meal. I think it makes the kids come to the table more eagerly, and cooking them in the broth of the skillet gives the sauce it’s thickening starch so easily! If you can’t handle the rice noodles, or are on a special diet, you can swap the noodles for more veggies or veggie noodles using a spirilizer. If you do happen to do this, just be sure to make a slurry out of your broth so you get some thickening. You can whisk tapioca starch into the broth before you pour it in, and the sauce will thicken right up. 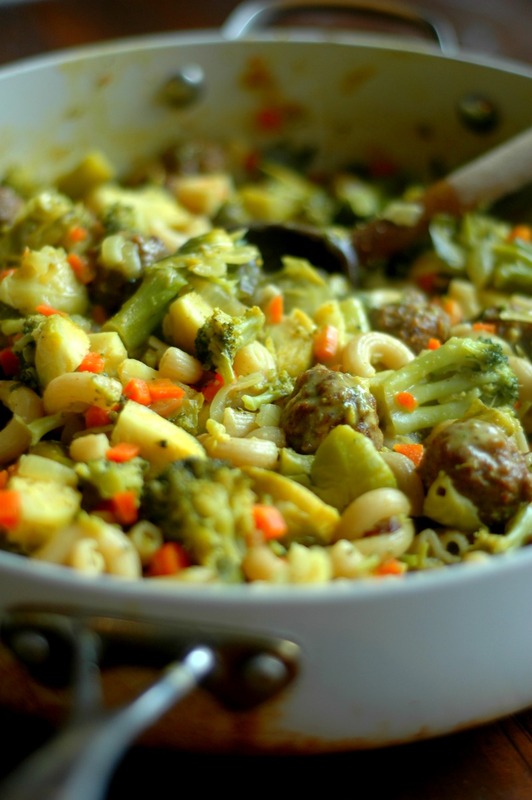 I also think the curry seasoned veggies and meatballs are great over rice (or cauli-rice!) if you don’t have access to a quality noodle and can tolerate rice. For my peanut free friends! Whether you are Paleo or have a peanut allergy, here are your swaps! I have made this with almond butter (we get ours at Costco, but here is a good brand you might find at your local grocer), and it is amazing (this works for Paleo friends but NOT for nut allergy friends!). For nut allergy friends that can have seeds, sunflower seed butter tastes so much like peanut butter. I have not tried it in this meal, but when I have swapped sunbutter for peanut butter it always works well. If you can’t tolerate nuts or seeds at all, I would simply leave it out – it still tastes really good, and I make curry all the time without nut butters. It takes this dish to a whole other level, but it is still tasty without it. 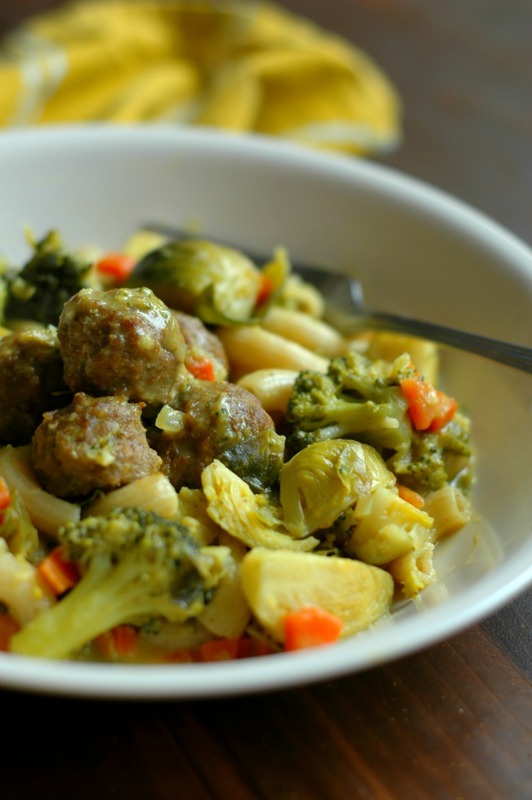 Change up your meal plan with this quick, weeknight gluten-free curry meatball skillet the whole family will love! 1/2 pound baby kale or baby spinach or other green! Pictured in this post was brussel sprouts because that is what I had! You can pop the Brussels in with the broccoli section to cook! 3 TB natural peanut butter I think almond butter would work if you are Paleo. If you can't have nuts, I think sesame seed butter or sunflower seed butter would be fantastic! Make the meatballs. Preheat the oven to 375 while you roll the meatballs. 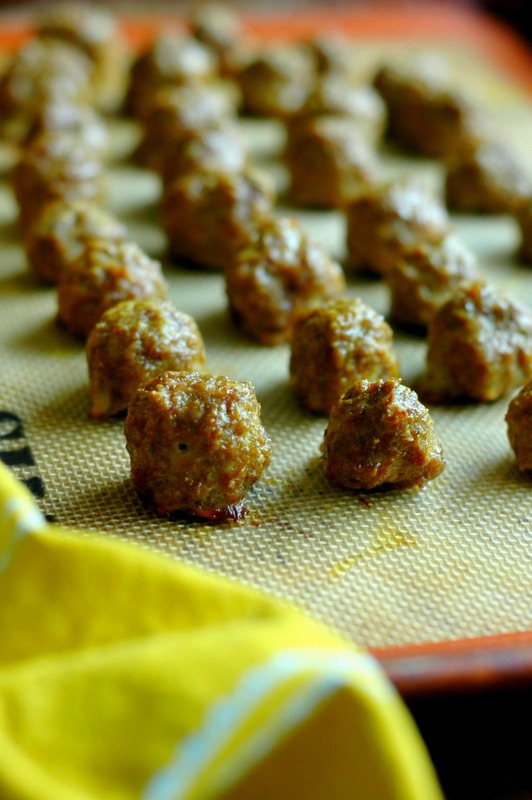 Mix all of the meatball ingredients in a small bowl, roll up the meatballs, and set them on a Silpat or parchment paper lined baking sheet. Bake at 375 degrees for 20 minutes while you make the rest of the meal. Melt the butter in a large, deep skillet (use a skillet that has a lid as you will need it later on), and add the onion and carrot. Stir in a pinch of sea salt and saute on medium heat for 5 or so minutes until the veggies soften. Add the garlic and curry powder and cook for a minute. 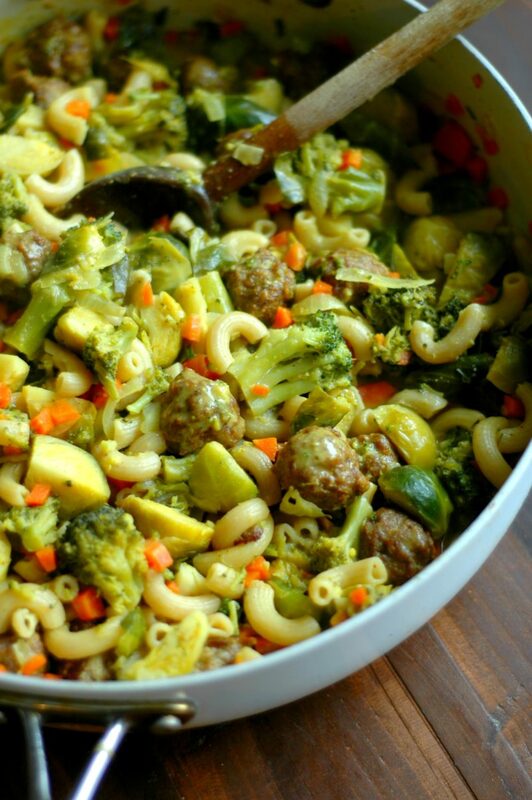 Add the bone broth, broccoli, and noodles and put the lid on your pan. Bring the pan to a simmer, and keep simmering over medium/medium-high heat until the noodles are cooked to your liking - about 7 minutes. Turn the heat to medium low and stir in the baby kale, peanut butter, and honey and cook a few minutes until the kale wilts and the sauce thickens. Sea salt and pepper to your taste. Oh man!! I cannot wait to try this!! I had meatloaf planned for this week but I may switch it out for this!! I LOVE curry also, but need to expose the kids a bit more 😉 Thank you for posting this! So yummy! I love how fast this comes together! When did you add the meatballs? Hi Emily! At the end just stir them in!